Finely crafted this wonderful bracelet will make a great addition to your jewelry collection or a great gift for family and friends! 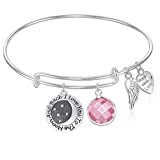 This wonderful bracelet has three charms on It: Baby Girl Charm, angel wings charm and a heart charm with a note " Made with Love". 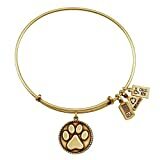 You can stack them up with other bangle bracelets. It comes tastefully packaged in a beautiful gift box, ready for gift-giving. It ships the same day so you will receive them with lightning speed! 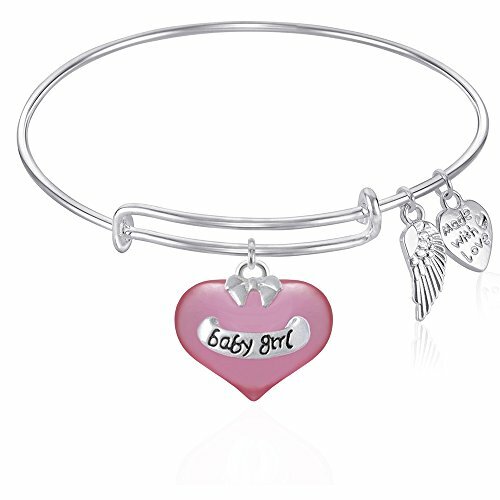 The store offers the cheapest BABY GIRL Expandable Wire Bangle Bracelet Angel Wing Charm Silver Finish GIFT BOXED online. Nice buy! 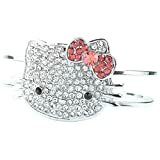 BABY GIRL Expandable Wire Bangle Bracelet Angel Wing Charm Silver Finish GIFT BOXED deserves 5 stars!